The media are so enamoured with young, come-out-of-nowhere under-dog narratives — and calling Djoković, 27, and Murray, 27, old — that they exaggerate things wildly. Even — or especially — in today’s world of high-bio-tech training and conditioning, two years do not make or break a champion. Like this Times story which will seem embarrassing in its prophetic pretensions just a few months from now; that’s my prediction: “Tennis World Wobbles as Competitive Axis Begins to Shift“. Čilić, 25, steamrolled supposed wonderboy Kei Nishikori, 24, in straight sets: an elegant 6-3, 6-3, 6-3. That Djoković played an unpardonably childish and bad game against him in the semis Saturday did not automatically elevate Nishikori to the Hall of Legends. 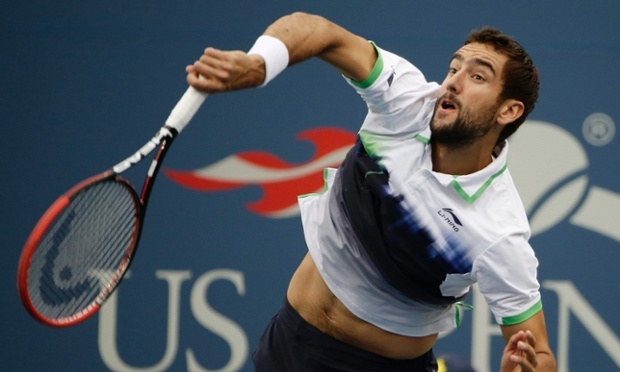 It was a great showing by cilic…. Can he do it again? Only the future can show i guess!